I feel like I’m at a big Dominican Republic hotel resort. 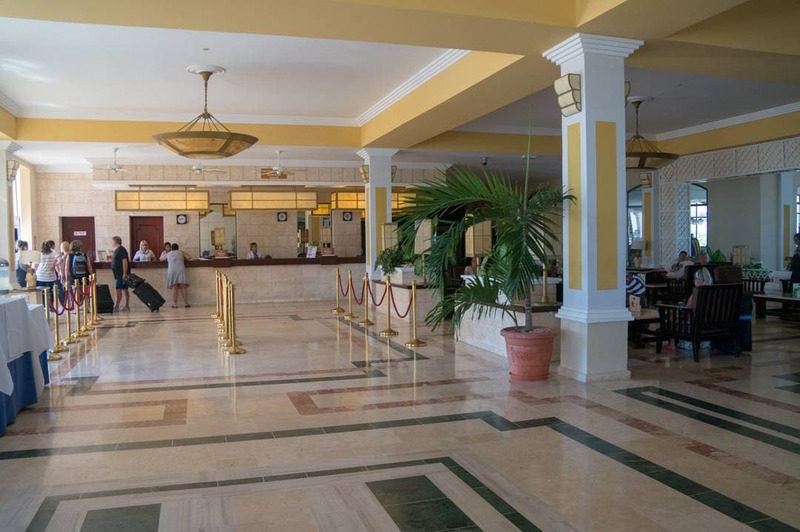 Most of the resorts I’ve stayed at in Cuba have been compact and under 400 rooms. 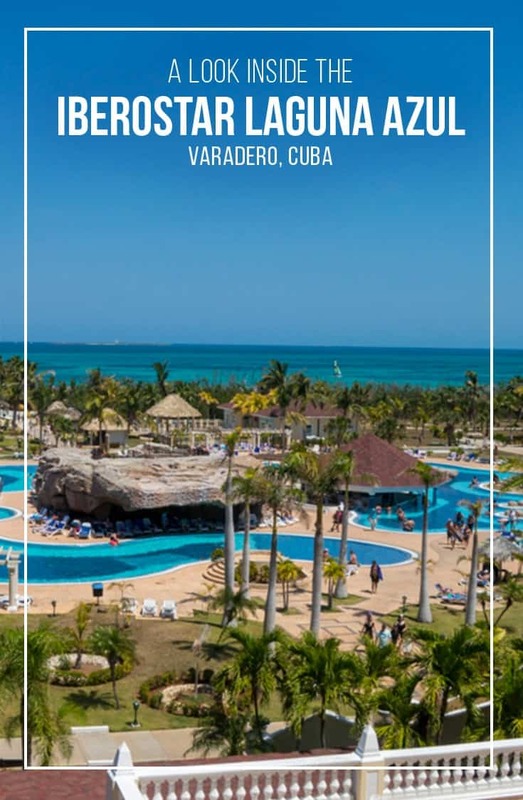 This five star Iberostar resort in Varadero may have intimidated me at first, but once I got around it, I realized this could be one of the best resorts in Varadero Cuba. 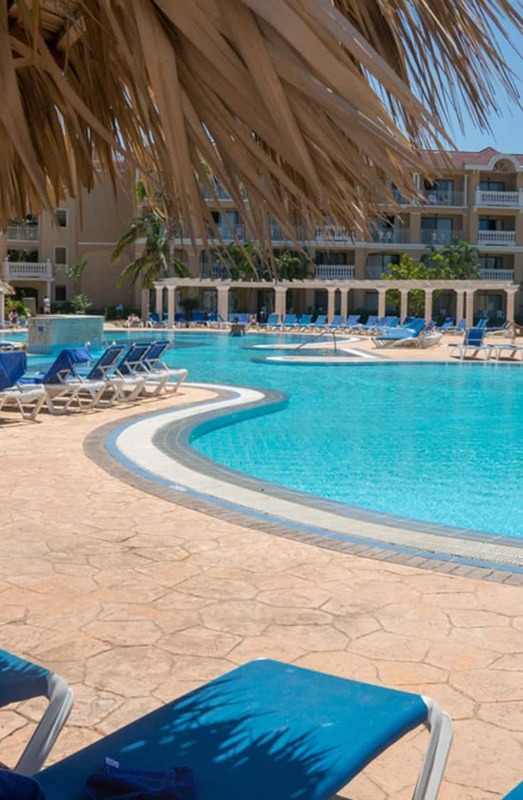 The details of this all-inclusive resort property follow in this Iberostar Laguna Azul Varadero review. The property has 827 rooms and prides itself on being an excellent resort for groups and weddings. There is a reason for this. 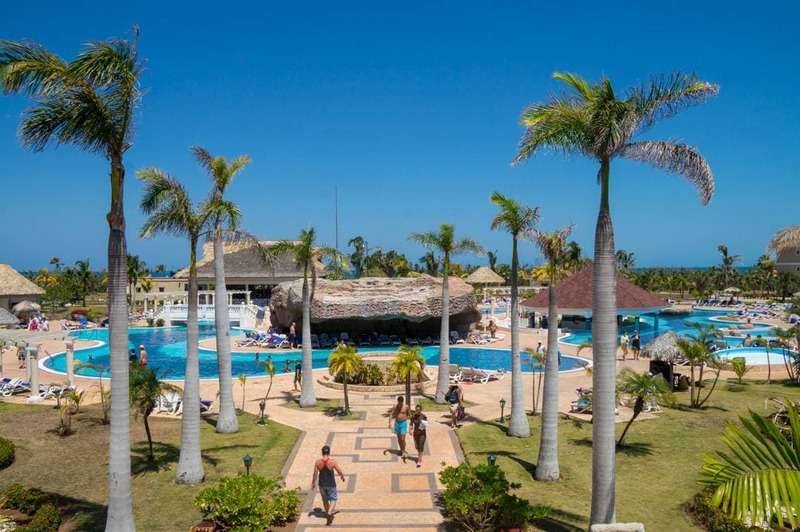 The resort is divided up nicely and accommodates those looking for some quiet, those on family vacations and especially those travelling with multi-generational travellers in a group. One thing to note. 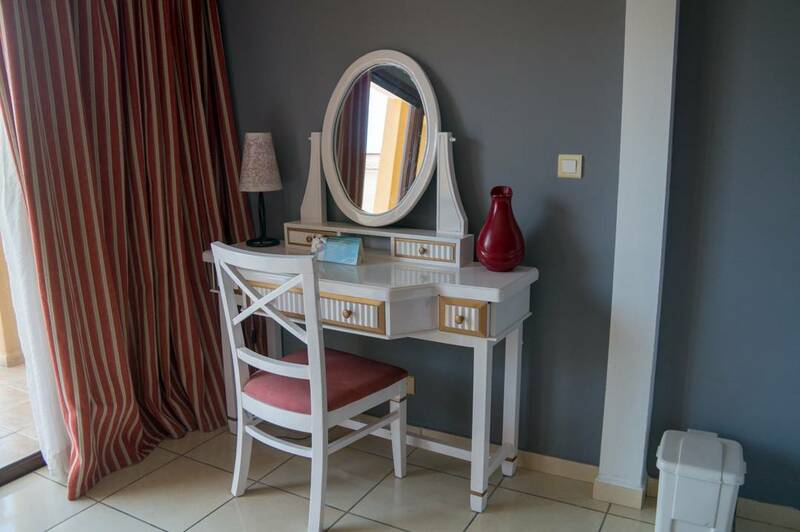 The resort has been updating its rooms and buildings, and all rooms should have completed their renovation in time for the 2018-2019 season. 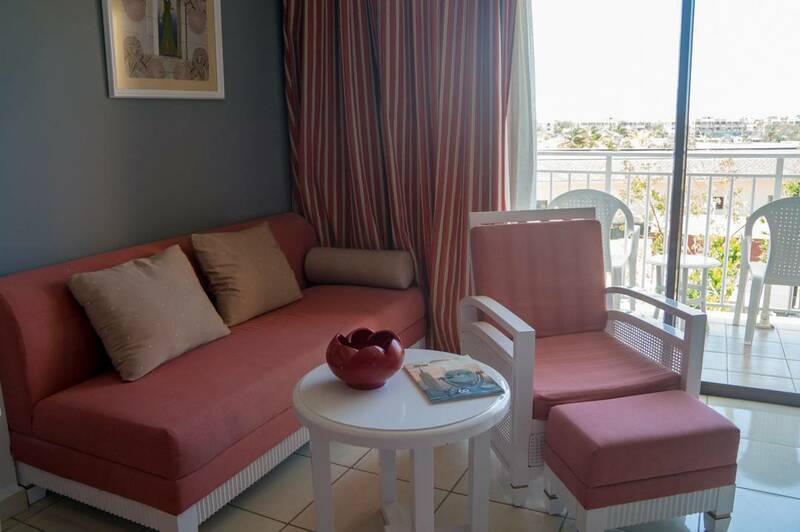 The main difference between a suite and a standard room is the location of suite rooms are in buildings closer to the beach. Suite rooms also have a shower and tub where the standard room has a tub with a shower. If you want to be close to the beach and have the best access to the beach, you may want to book in Building 20. 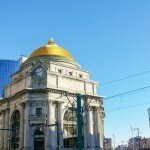 Many of the suites are located in this building. That said when you look at the resort map that building and Building 10 are located on the far left and right corners of the resort. So you have more walking to do to get to the other resort amenities. 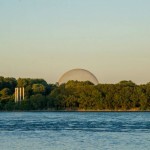 Building 10 is not located directly near a beach access path like Building 20. There are two main pools in the centre of the property, and this is where the resort’s action is. If you like vacations with animation team members prompting you to take part in activities which include dancing, water sports and more, these two pools are where you want to be. If you want something a little more peaceful, the resort has two pools designated for this. They are on opposite sides of the resort. So depending on which side of the resort your building is there is one conveniently available to you. If you like wide white sandy beaches with lots of chairs, then you won’t be disappointed. 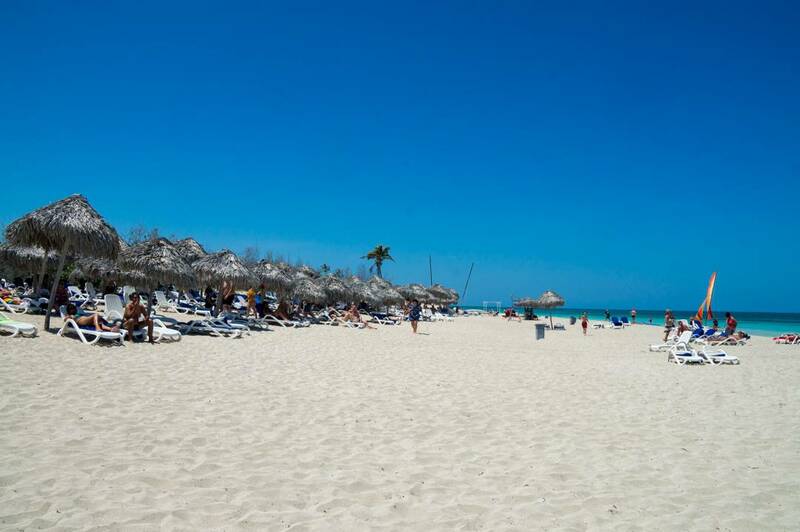 One of the great features of Varadero is the long never-ending beach that you can walk freely along. Some resorts in Varadero have more narrow beaches than others. The Laguna Azul’s beach is both long and wide. Buffet and two snack bars located near the quiet pools. 24 Hour Snack Bar is located in the beach area. 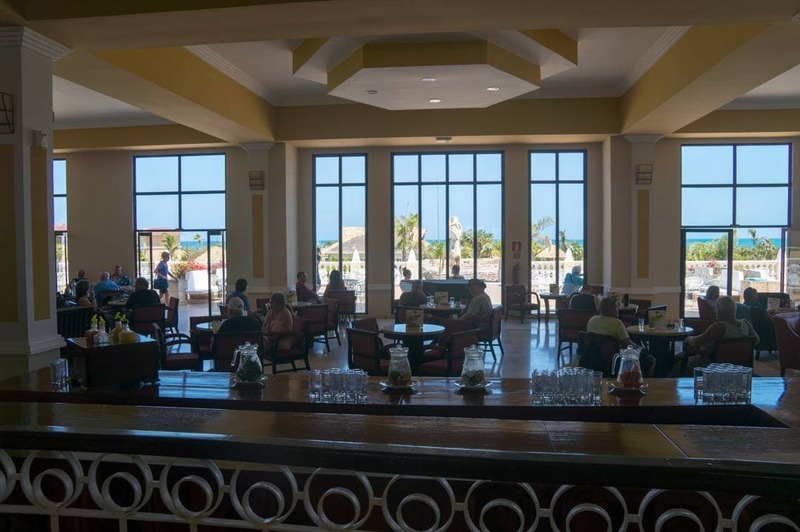 There are 4 A la care restaurants at the resort which offer a bit of variety from the Buffet and snack bars. 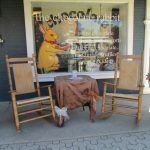 I had a lovely meal in this restaurant which features a bit of an upscale menu. We were served a plate of cheese and a selection of food from the chef. I did find as with many Cuban restaurants like this they overcooked the lobster and beef. It is a common problem in Cuba and very unfortunate as I saw improvements in their culinary options and plating during this trip. If you like the grilled food served hot. Then sitting at a Teppanyaki table and being served fried rice, grilled chicken and seafood might be of interest to you. The chefs are very engaging and entertaining, and this makes for an enjoyable night out. 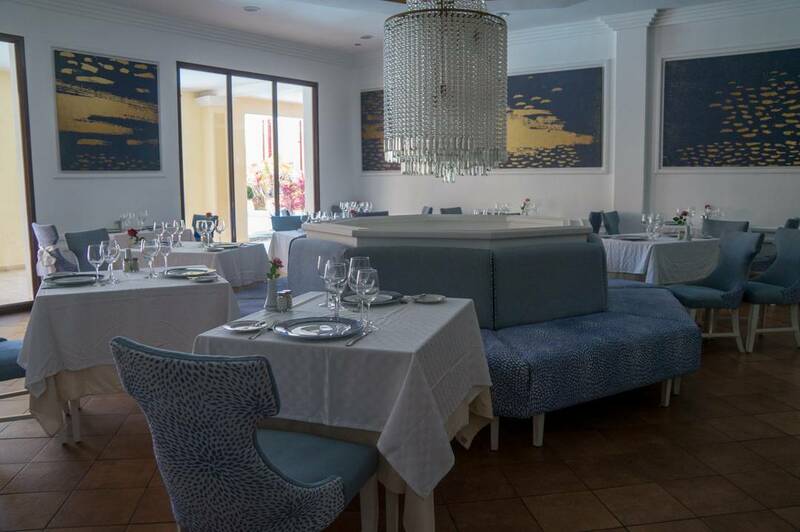 If you are in the mood to elevate your pasta offerings (from those offered in the buffet) be sure to make a reservation at the Italian restaurant which features a special menu of Italian favourites. This restaurant is open during the day too. It serves traditional Cuban fare. 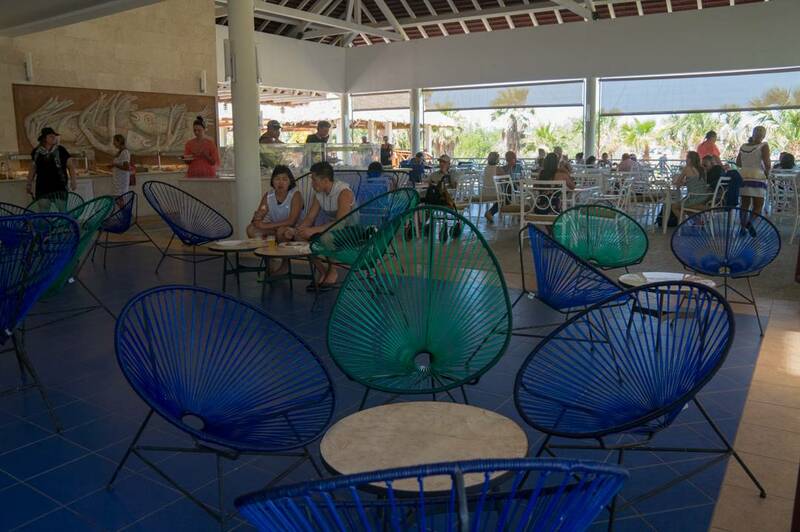 Of course, there are a variety of bar locations throughout the resort from the poolside bars, swim up bars, snack bar areas, and lobby. Iberostar hotels do have great spa’s and the Laguna Azul Varadero is no exception. 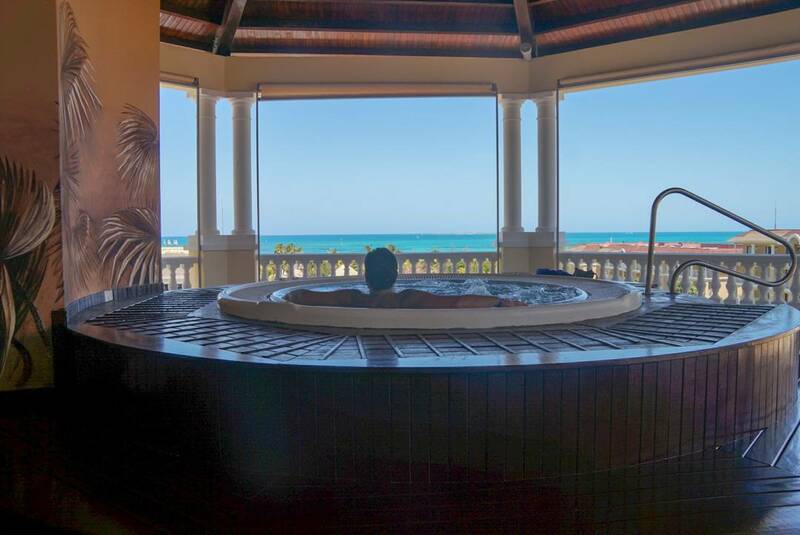 The spa is located on the top floor of the main building and is worth the visit if not for the amazing view you’ll get see of the entire property. Another key feature of this spa is the hammam room which I have never seen in Cuba. They have some great treatment options and then you get to sit and relax in this hot tub and enjoy the view. 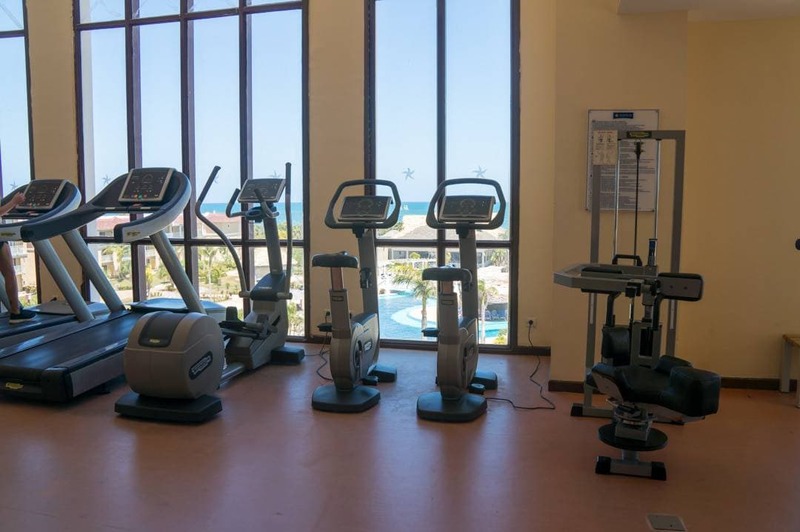 The fitness room is also located here and has a spectacular view overlooking the resort. What I loved about this resort is the attention to making sure that celebrations like the showtime at the theatre and the 24-hour snack bar are located away from the room buildings. It means if you want a relaxing vacation here where you don’t want the loud music blaring at the beach, at the pool and while you are trying to sleep, you can get away from it. Either at the quiet pools or because of the location of the Theatre and 24-hour snack bar which are not near the rooms. Very smart. At the beach, you can enjoy watersports, beach volleyball or jump into a Zumba class. The animation staff has plenty of programs for kids and adults which are posted on an activity board. They change things up each day. Including the nightly show which runs on a 14-day cycle, so you will always see something new. 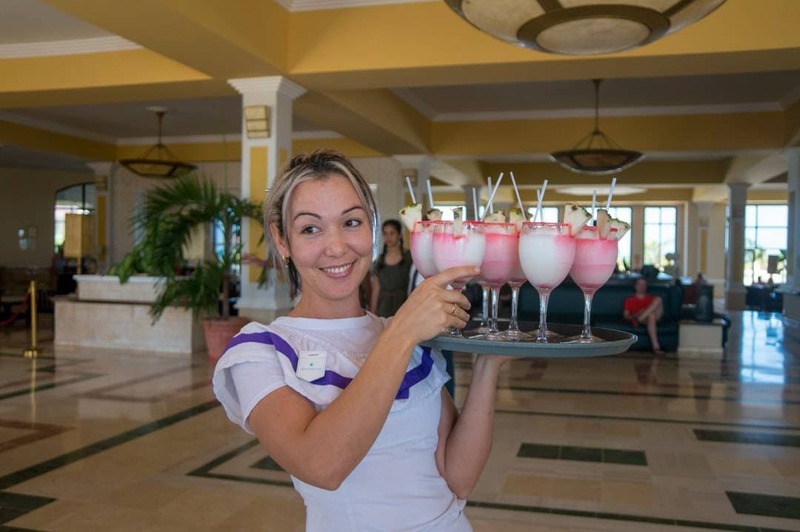 I would rate this hotel as one of the best resorts in Varadero. 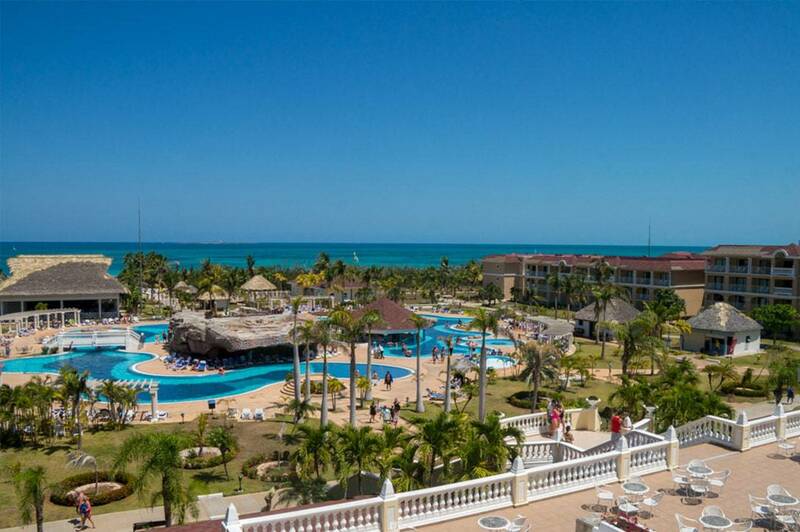 The Iberostar Laguna Azul Varadero is rated #26 out of 64 hotels in Varadero on TripAdvisor, see more reviews on the property here. It is a bigger property but not too overwhelming. You don’t need little trolly cars to get around, and it is easily walkable. 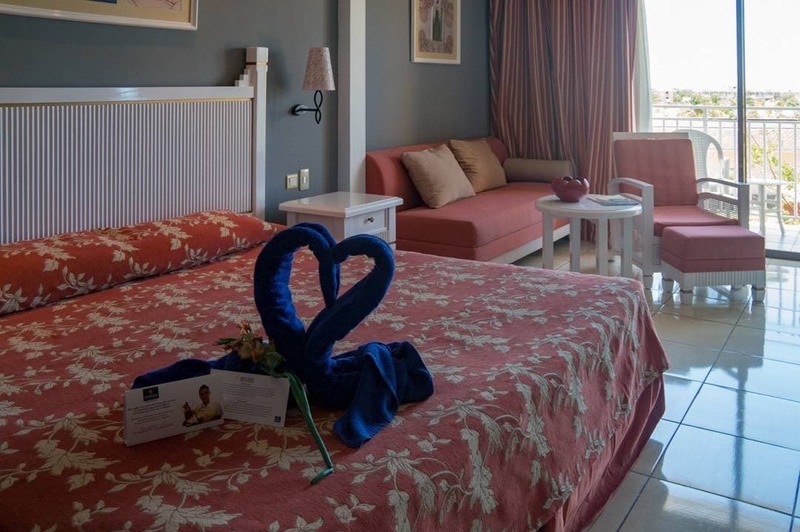 Disclosure: Travel assistance provided by Iberostar Hotels during a media FAM trip, however, the opinions in this post are my own. The Caribbean is really an awesome Destination. Thanks for sharing experience images are looking beautiful. 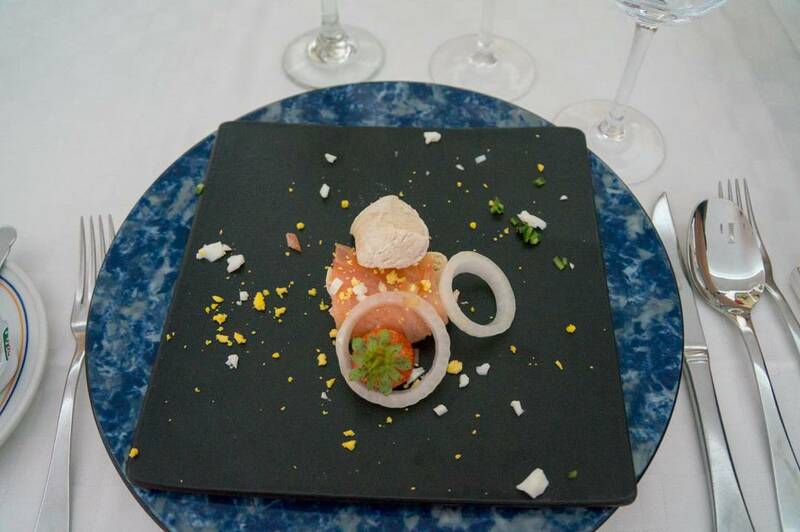 Casa Lasa Gourmet is a Fine Dining Restaurant. Thanks for sharing the article.